Shamangelic Healing with Anahata, Sedona’s Center for Shamanic Healing and Spiritual Awakening, is Now Offering an Extensive Curriculum of Energy Healing and Shamanic Training Courses. 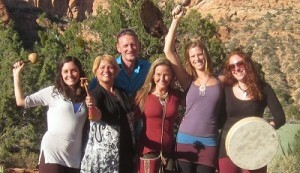 In March, 2013, Sedona Arizona’s premier center for Shamanic Healing and Spiritual Awakening is extending their services to include courses in Energy Healing and Shamanic Training. Anahata Ananda of Shamangelic Healing designed these training programs to provide mainstream audiences with simple concepts on energy healing fundamentals. Advanced courses are also available for more experienced practitioners and facilitators. Sedona’s breathtaking beauty, energy vortexes combined with the influence of Native American culture, provides the perfect setting for this training. Many people are frustrated with the health care industry, pharmaceuticals and traditional approaches to physical and mental health. 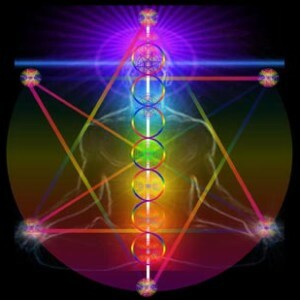 Consequently, alternative methods that integrate mind, body and spirit are in greater demand. More individuals are seeking meditation practices, Shamanic healing, Spiritual retreats and sacred land experiences. 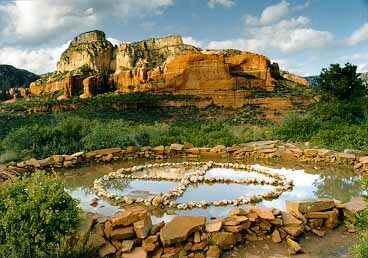 Sedona is the mecca for these offerings. Shamangelic Healing with Anahata offers a full complement of these services in addition to the training courses for those who are ready to go to the next level. For those interested in learning more about the mind, body and spirit connection, the “Energy Healing Fundamentals” program is perfect. This 4-day experience provides 10 courses which outline the basic concepts of energy healing and offers tools that anyone can utilize. These foundational courses are designed for individuals interested in exploring the healing arts and for current practitioners looking to expand their perspective and offerings. It is helpful for everyone to learn how to work with healing energy, keep clear boundaries, clear density and set sacred spaces. Shamanic teachings have not died with the ancient cultures. Shamanic wisdom holds many answers to today’s life challenges. The 3-day course on “Shamanic Teachings” explores the in-depth soulful world of Shamanism. An overview of various Shamanic Traditions, Ceremonies, Animal Spirit Guides, Nature Teachers and Elemental Wisdom Teachings are covered. The Shamangelic Healing Sanctuary is nestled beneath Sedona’s famous Thunder Mountain and just a quick walk to a nearby ancient Medicine Wheel. This setting provides a perfect learning environment for exploring nature wisdom and Shamanic teachings. The advanced courses are designed for practitioners looking to expand their service offerings, and strengthen their abilities to address sensitive emotional client issues. The “Practitioner Practices and Tools” teaches deep emotional release techniques, guided visualization practices and a wide range of healing tools and modalities. 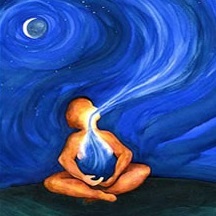 The “Shamanic Breathwork” program incorporates deep Shamanic breathing techniques, guided visualization, vibrational sound and energy healing to facilitate profound emotional releases and open new channels of awareness. 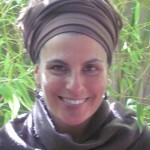 The program instructor Anahata has trained extensively with gifted shamans, energy healers and spiritual teachers from Peru, India, Asia and North America in order to artfully integrate the fields of energy healing, self-empowerment, shamanic teachings, emotional release, spiritual studies and visualization techniques. Blending the compassion and tenderness of an Angel and the wisdom and strength of a Shaman, Anahata guides journeys of profound healing and awakening. Her extensive client base spans the globe and includes high level executives, professional athletes, celebrities, parents, couples, healers and individuals of all ages, who seek to heal and awaken their fullest potential. 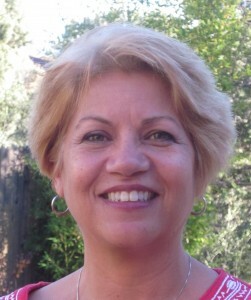 Anahata is the founder of Shamangelic Healing based in Sedona, Arizona. Clients seeking Spiritual awakening, transformational healing services, conscious relationship counseling, sacred land journeys or training courses choose from a wide range of options in order to create a tailored personal experience. Anahata’s Shamangelic Healing Sanctuary is based in Sedona, Arizona, surrounded by 360 degrees of breathtaking views, walking distance to ancient sites and healing vortexes, making this the perfect setting for healing and expansion.